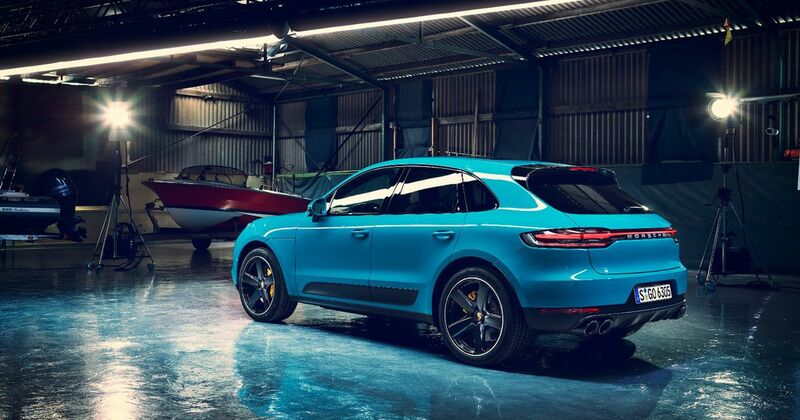 You’re looking at the new Porsche Macan. Honest, you really are. Actually, hang on, let us double-check… yes, this is definitely the new one. It’s just barely any different - from the front, at least. The 2019 model has just been unveiled in Shanghai by its makers, complete with a few touches borrowed from the 911. 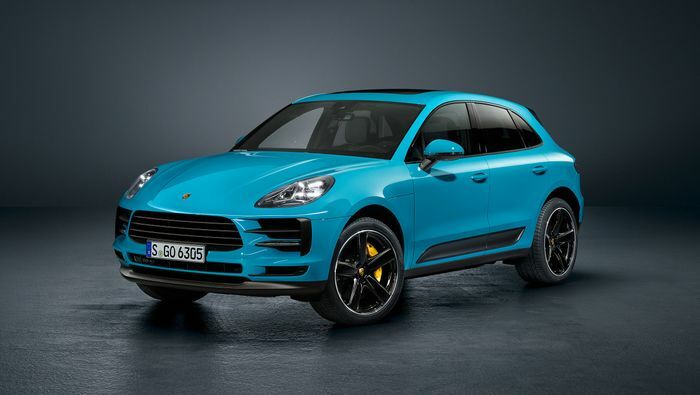 Miami Blue should be the first thing you notice: the fan-favourite 911 colour has made it to Porsche’s smallest SUV alongside three other new shades: Mamba Green Metallic, Dolomite Silver Metallic and Crayon, which is a sort of putty-grey colour previously for the 911 and Panamera. 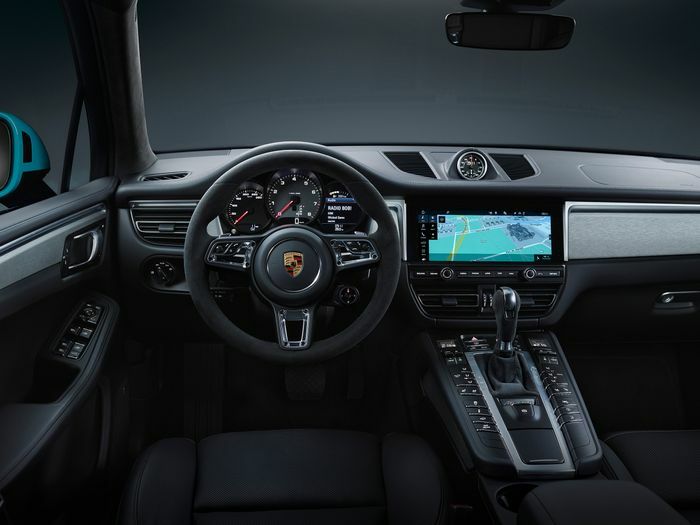 Another 911 touch comes with an optional ‘GT’ steering wheel, which, if you tick the Sport Chrono Package option box, also holds the Sport Response button and drive mode selector. New 20- and 21-inch wheel designs are ringed by newly-developed tyres from Pirelli. “Even better lateral dynamics” is the result, says Porsche, which we take to mean fractionally higher cornering speeds in testing. The rear pair are still wider than the fronts. At the back a distinctive full-width light bar makes it easier to spot the new model and echoes designs we’ve already seen on other Porsches. Inside there’s a new, larger touchscreen, because of course there is. From seven inches it has been enlarged to 11, and this article is beginning to read like the kind of banner advert you shouldn’t click. You can customise the home screen tiles with the apps and sub-systems you use most often. A new Offroad Precision App is a neat feature that can track the car’s movements and analyse the data afterwards, much like datalogging on a track. It uses much the same sensors as those that are already used to record lap data. 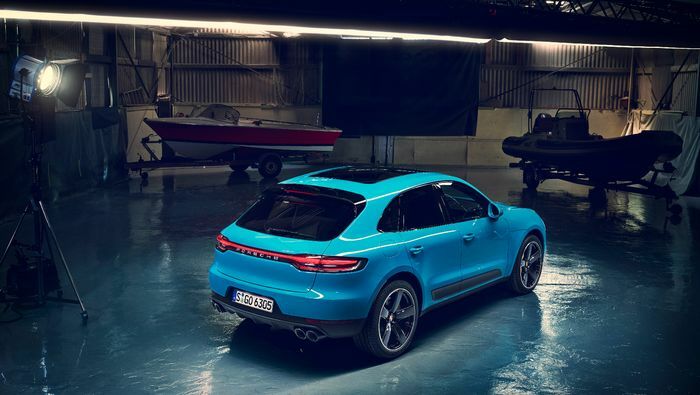 Elsewhere the Macan can now use the full Traffic Jam Assist feature, which will complete all the basic self-driving functions in a traffic jam situation up to 60kph. Acceleration, braking, steering and gear shifts are all covered. 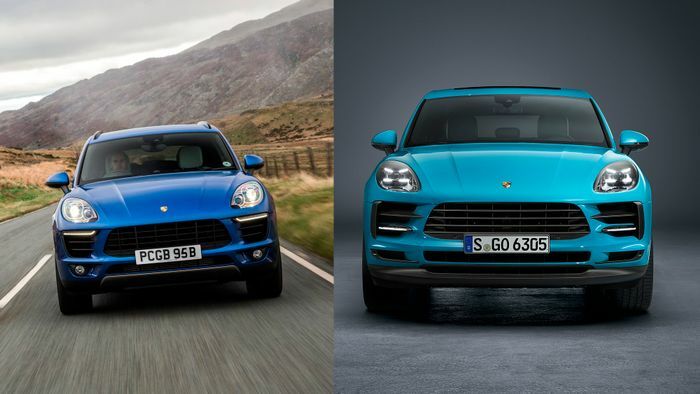 More than 350,000 Macans have been delivered since its launch in 2014, with 100,000 of those going to China.